JQ Talks: Is Nitro Coffee Just A Hipster Hype? Or Is It Really Healthier? Is Nitro Coffee Just A Hipster Hype? Or Is It Really Healthier? 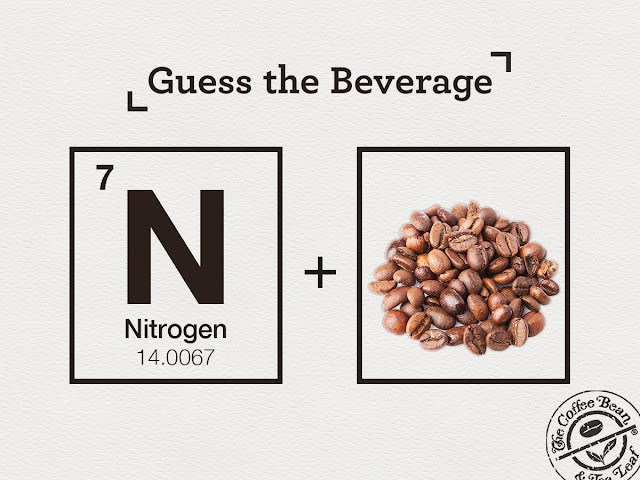 We first learnt about the existence of Nitro Cold Brew from one of our favourite local cafe nearby our place. Ever since then, the term Nitro Cold Brew Coffee kept popping up from different popular cafes and now, even Coffee Bean serves them. 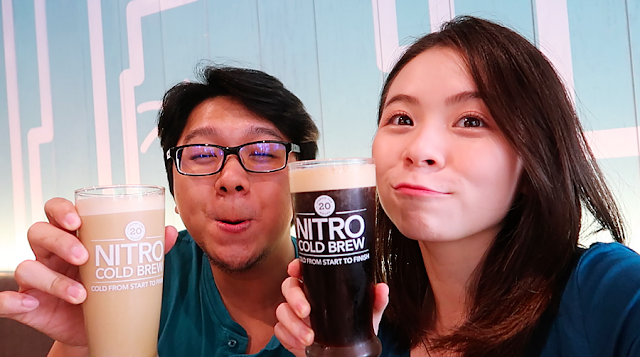 We love our nitro thanks to its silky smoothness that's almost similar to a cold draft beer, specifically, Guinness-like but without the alcohol, of course, we had to try them when we were invited to Coffee Bean's little gathering launching the new Coffee Bean's Nitro Cold Brew. However, with all these buzz about nitro coffee lately, its only natural to question if it's just a temporary hipster hype or does it provide any sort of benefits like coffee do? Scroll on to read more or you can check out, how does Coffee Bean's Nitro Cold Brew look like, how I tapped my own cup of nitro, and find out what we won while we were at the event in the video below! Once they began serving cold coffee from the tap, more places followed suit. In 2015, the cold brew got an upgrade with nitrogen infusion thanks to Cuvee Coffee in Texas and Stumptown in Oregon. They came out with the first nitro cold brew coffees in the form of cans, and it was an immediate hit, with some offices at the time even offering it as part of their coffee service." Ultimately, it's cold brewed, put into a keg and the infused with nitrogen gas. Served right from the tap, just like a cold beer and offers that frothy and bubbly, adult-beverage feeling with the carbonation. The original black nitro doesn't contain milk or sugar or doesn't need sugar as its rich and creamy taste comes from the nitrogen infusion. Perfect for people who are counting their calories. Coffee is known as one of the top antioxidant food, thus it can help fight toxicity and protect the body against free radical damage. I love drinking coffee before a work out as it can increase post-exercise energy expenditure. The afterburn effect allows the the body to continue burning calories after exercise. It also increases blood flow to the brain, supporting cognitive function. Oh yeah, this can either make you or break you. It's great for people with higher caffeine tolerance and want something kao quick, or it may cause caffeine overdose, which might lead to increase in anxiety level. Like for me, if I consume more than 2 cups of Cold Brew or Nitro, I'll get high and have slight headache. I get dehydrated quicker and are required to chuck down a ton of water right after having my delicious nitro cold brew. Thus, know your own body and highly recommended to take everything in moderation. Hot water brewing usually amplifies the acid in the coffee brewing process while cold brewing softens the acid factor. Thus, people like Dexter who can't really take regular coffee due to acid reflux, he'll take Nitro Cold Brew and Cold Brew Coffee. Is Nitro Coffee Healthier than Traditional Coffee? In my opinion, not really because they pretty much have almost the same benefits. Plus, I have no issues drinking an iced americano since I do not suffer from the whole acid reflux issue. However, I do want Nitro Cold Brew Coffee to stay because sometimes would prefer a cup of draft coffee because it solves my carbonated drinks cravings. Unless you are someone like Dexter, suffers from acid reflux issues and can't drink regular coffee, Nitro Coffee or Cold Brew Coffee might just be perfect for you. Why is there such Hype then? I personally do think that Nitro Cold Brew is amazing because of its texture and taste. It's still coffee but with a different approach. However, different places make their Nitro Cold Brew differently as they might use different type of coffee beans, gas mixture, pressures, steeping time, and etc. I know some places steep for 12 hours, while others might even steep for up to 24 hours. It's all up to what kind of taste the cafe wants to achieve. For Coffee Bean's Nitro Cold Brew, they use an exclusive Special Blend of premium Bali Blue Moon and Ethopia Yirgacheffe coffee beans, plus chicory for a sweet and spicy effect. They steep for 20 hours then infused with nitrogen to complete the process. Coffee Bean's Nitro Cold Brew has a subtle tones of sweet toffee and caramel, great for a guilt-free pick-me-up on a hot day! The Coffee Bean and Tea Leaf Nitro Cold Brew is available plain or as latte at RM13.50 and RM14.50 respectively, or enjoy it in Vanilla Bean or Mint at RM15.50. Dex and I prefer it ori but hey, it might be different for you. For more information, visit www.facebook.com/CBTLMalaysiaPage. Justice League - Worth Every Hype!